Senators Rand Paul and Ron Wyden: If nobody knows how many Americans’ communications are being searched, we can’t know the full impact on our liberty. Intelligence agency leaders are waging an all-out public relations campaign in support of their favored surveillance authority, Section 702 of the Foreign Intelligence Surveillance Act (FISA), which expires at the end of this year. But at the same time they demand Congress renew this far-reaching spying power, officials are refusing to tell Americans how the government interprets this authority to sweep up and search their phone calls, emails, and other communications, all without a warrant. In other words, the Administration is refusing to tell Congress — and, by extension, all Americans — what information they believe that they are allowed to collect on American citizens, based on a law passed by Congress that was intended to authorize the collection of communications of foreigners overseas. For years, officials have refused to answer basic questions about how the government conducts surveillance. In recent months, however, intelligence leaders have dramatically escalated their efforts to hide important facts from Americans. But shortly after the hearing, in a Kafkaesque trick, Mr. Coats’ office told reporters that he had answered a different question than the one that was asked. And then the DNI stated that the answer to the original question was classified. Each time this happens, the government further damages the public trust necessary for the government, and in particular intelligence agencies, to function. One need look no further than when the massive surveillance dragnet of millions of Americans’ phone records was revealed — which was based on the government’s secret interpretation of another provision of FISA. Americans were rightly outraged and, eventually, reformers succeeded in ending that overreaching program. Likewise, FISA absolutely needs to be reformed and made to comply with the Constitution. The data collected under Section 702 is gathered under an almost limitless standard. We tolerate that standard because the targets are not U.S. citizens and are not located on American soil, even though they may be communicating with Americans. A constitutional problem arises, however, when we allow the Intelligence Community and domestic law enforcement to search and use the data collected on Americans without constitutional protections. Reform of FISA needs to prevent these searches and the use of this data in domestic crime. Without these reforms, the program does not comply with the Fourth Amendment. 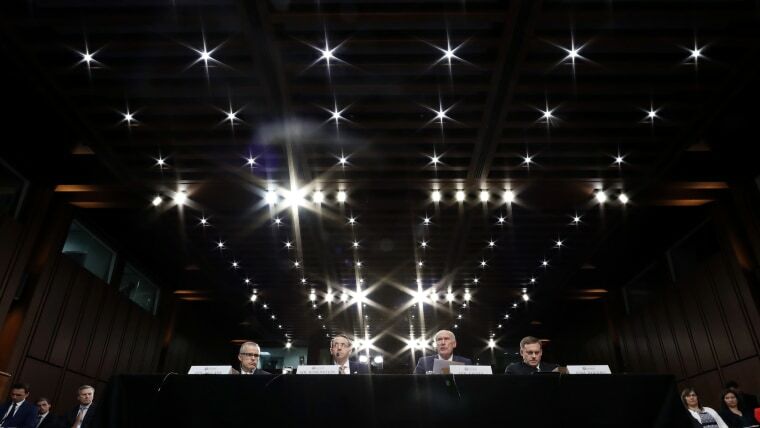 Such a change is especially important because Director Coats, at the aforementioned June hearing, announced that he would not even provide an estimate of the number of Americans’ communications that are being swept up under the provision of the surveillance law we are seeking to reform. That is a 180-degree reversal of the government’s previous position; as recently as April, the administration promised to release information about this collection. If neither Congress nor the public knows how many Americans’ communications are being searched, we can’t know the full impact on Americans’ liberty caused by these warrantless back-door searches. There are other necessary reforms to Section 702 of this surveillance law, including strengthening the oversight of the Foreign Intelligence Surveillance Court and the Privacy and Civil Liberties Oversight Board, requiring more transparency, and making sure that the vast surveillance powers provided to the executive branch are not misused. Finally, Congress may need to legislate on the question that the Director of National Intelligence has refused to answer regarding wholly domestic communications. We intend to fight tooth and nail for these and other reforms, which we expect will have strong bipartisan support. But the problem of secret interpretations of the law hangs like a cloud over the whole legislative process. The Constitution vests in Congress the exclusive power to make laws and to provide oversight over their execution. There will always be programs and operations that are conducted in secret, as long as they follow the law. But if the government won’t tell the public what it thinks the law means, oversight no longer works. If the government expects Congress to pass laws with secret meanings, and Congress complies, then the legislative process is no longer functioning. And when the public has no way to hold its representatives accountable, then the whole system is broken. Senator Rand Paul has been in the United States Senate since 2011. 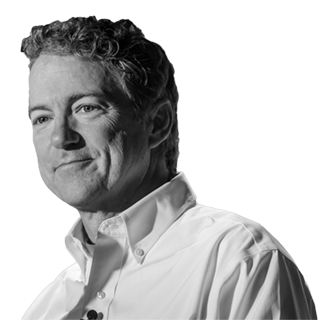 Prior to getting elected, Dr. Rand Paul ran his own ophthalmology clinic in Bowling Green, Kentucky. 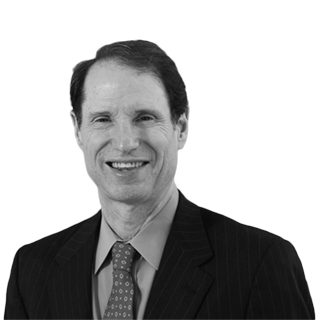 Ron Wyden is Oregon’s U.S. senator, and a senior member of the Senate Select Committee on Intelligence.